Taming the Holiday Stress Beast! 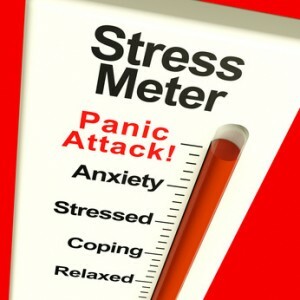 The holidays are a time of year when many people are stressed and overwhelmed. Feeling over-extended, over-obligated and stretched thin all contribute to anxiety and this can put a real damper on the holidays. Family and work obligations, parties, shopping, cooking and all the holiday odds and ends can leave one with little time to spare. During this season of “good cheer”, many people are feeling anxious, tired and overwhelmed. Below are a list of things to help decrease anxiety and stress during the holidays. Prioritize – Has a year gone by when you didn’t get your holiday list checked off that led to doom or disaster? I don’t think so! Prioritize what you can and cannot do, let the smaller stuff go this year and remind yourself you can’t do it all. Life does get in the way at times and good intentions can’t always be carried out. Remind yourself that what you’re doing is good enough and take pleasure in what you’ve done! Take Time for Yourself – Burning the candle at both ends is a sure fire way to diminish enjoyment over the holidays. By giving and doing too much, you get out of balance and don’t have much left for others or yourself. Anxiety and stress will likely rear their heads if you don’t take care of yourself and don’t practice self care. So, just as you are trying to schedule other people and tasks into your day, make sure to schedule time for you. A special lunch, maybe sleep in one day, get a massage, take a walk, or involve yourself in an activity you enjoy. Remember, you’re part of the overall equation that needs tending to. Watch your Spending – Stretching yourself too thin financially almost always increases anxiety, worry and stress. Be careful you don’t overspend during the holidays. I suggest having a holiday budget and sticking to it. Consider buying less expensive gifts, decreasing the number of people you buy for, sending cards to some instead of presents and making gifts instead of buying all of them. There are lots of creative and heartfelt things to make that cost less, but carry greater meaning. Monitor How Much You Eat and Drink – Staying healthy is a good buffer against anxiety and stress. As tempting as all the goodies are at the office and holiday parties, monitor the amount of unhealthy food you eat. Also, monitor the amount of alcohol you drink. Parties often involve a lot of alcohol and drinking easily contributes to unnecessary anxiety, worry and dysphoria. Focus on the Meaning – What does the holiday season mean for you? Is it about your spirituality? Is it about relationships with family and friends? A time for gratitude? Spend some time outlining what this time of year means for you and make sure you are keeping that the focus. During all the hustle and bustle and commercialization of Christmas, it’s easy to lose perspective. Keep reminding yourself what you want this time of year to be like and make that your priority. Practice Kindness – I am always surprised how this time of year brings out the worst in some people. So many are in a hurry, short fused, and just downright grumpy and mean! Try not to take that on. Set your intention to smile, say hello, help someone who could use it, let someone get in line in front you you who only has a few items, or compliment a stranger about something they are wearing. Be determined not to contribute to the stress, anxiety and irritability that is out there this time of year and model what you want to be. Slow Down – that’s it. Just take a deep breath and slow it all down. Aside from stress and anxiety, the holidays can also be a source of grief and sadness for many. Unresolved family issues, loss of loved ones, and loneliness can all contribute to sadness over the holidays. If you experience stress or sadness during this time of year and want to explore this further, please feel free to contact me. Wishing you all Happy Holidays and a Merry Christmas!